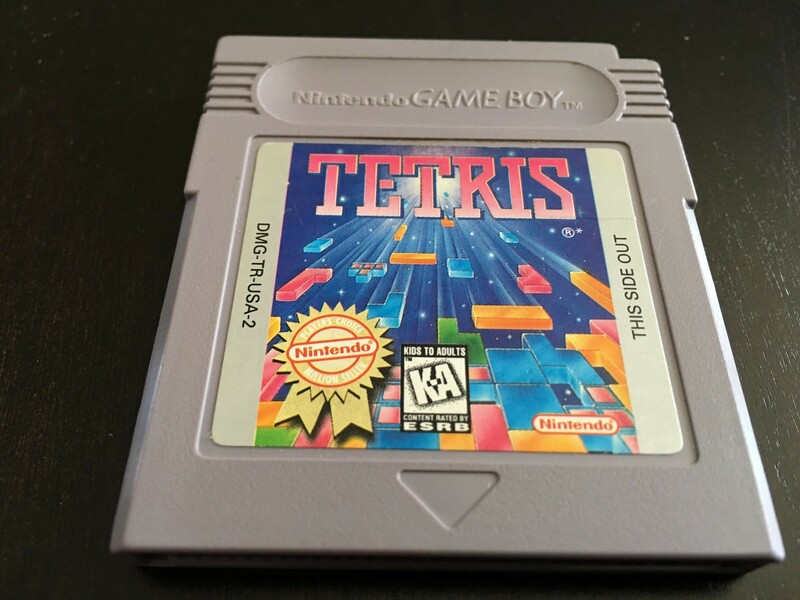 What Was It Like to Play Tetris on the Game Boy? Sunlight, batteries, and eyestrain. Us 80s kids did whatever it took to play Tetris on Nintendo's handheld. Say the word Tetris to a longtime video game fan, and there’s a great chance he or she will instantly think of the Game Boy. Nintendo launched its top selling portable in 1989, bundled with a version of one of the world’s greatest puzzle games. It was a match made in pixelated heaven, with Tetris becoming synonymous with the Game Boy and a key ingredient to the handheld’s success. This being the late 1980s, we didn’t have all of the luxuries that some people take for granted today. Sure, Tetris for Game Boy was totally rad, and still is, but we had some first world hardships to overcome in order to get our puzzle fix. With that in mind, this is what it was like to play Tetris on the Game Boy, long before the rise of smartphones and high tech video game consoles. The original Game Boy did not come with a backlight; Nintendo reportedly did this to conserve battery life. Want to play Tetris, Super Mario Land or another launch game? Better find some sunlight, or the nearest lamp when the sun goes down. Even when we had decent light, achieving the clearest image possible meant tilting the Game Boy in order to see all those Tetriminos falling into the Matrix. Remember this the next time you adjust the brightness on your smartphone or Nintendo Switch. 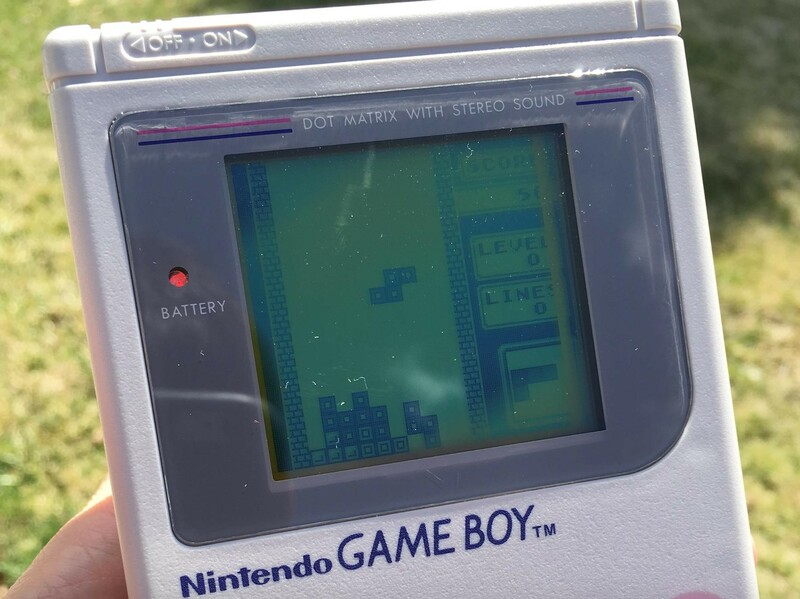 These days, we have the luxury of holding our iPhone 7 or iPhone 7 Plus smartphones at a comfortable distance away from our eyes, but this simply wasn’t the case with Tetris on the Game Boy. Nintendo’s handheld has a shockingly small screen by today’s standards, at an eye-squinting 2.6 inches diagonally. Making split second decisions in Tetris while playing arms fully extended is easier than it might sound. Because of this, many of us brought the Game Boy as close to our faces as possible. To be fair, the Game Boy gets roughly 15-30 hours off of four AA batteries, which is better than most of today’s modern laptops and video game systems; Nintendo’s new console, the Switch, maxes out at six hours before you need to recharge the device. The difference? The Switch and those laptops come with charge cables. 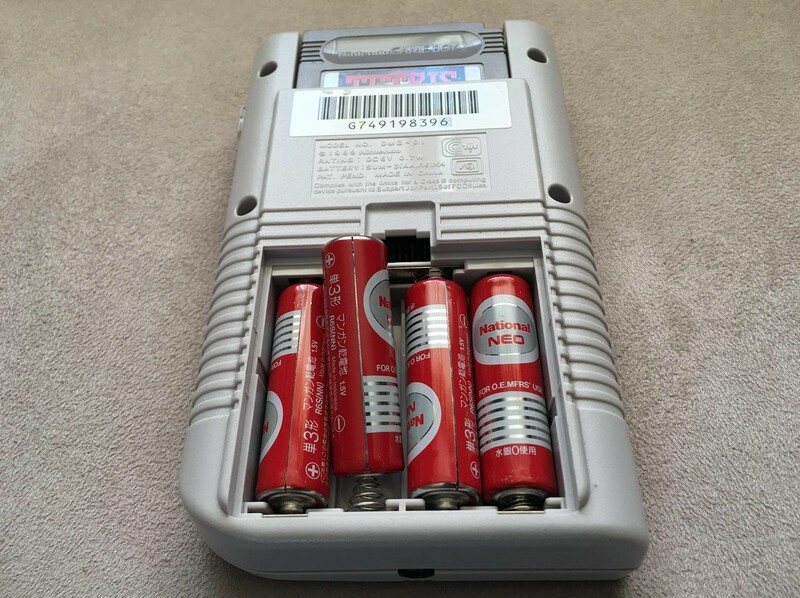 Nintendo threw four AAs into the Game Boy box, but the AC adapter was sold separately, giving us three options: buy said adapter, invest in rechargeable AAs or pick up disposable batteries every few weeks. There’s an argument to be made about beauty in simplicity. If you agree, then Tetris for Game Boy is still a joy to play because of the game’s old school roots. 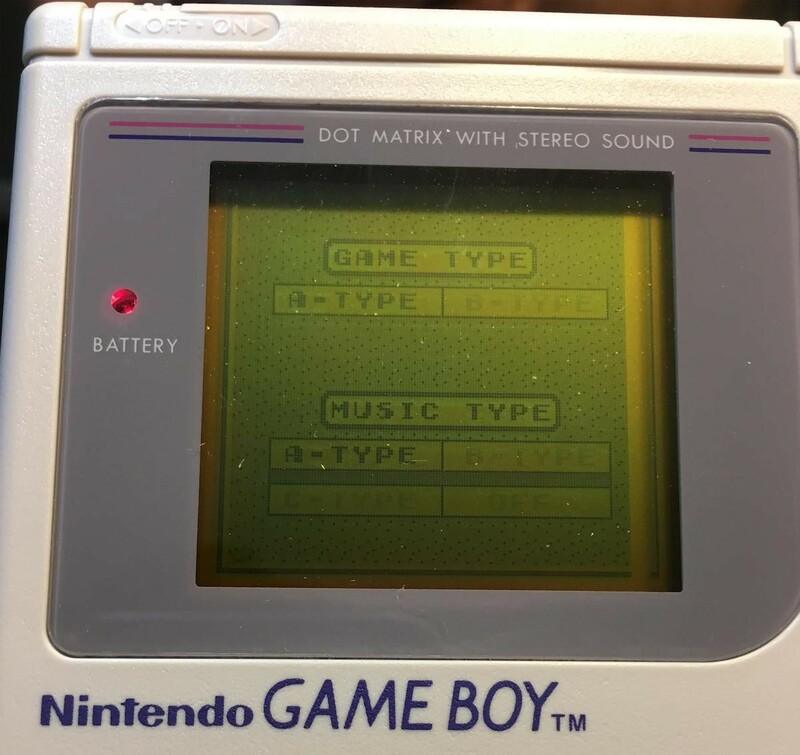 Of course, if you’re accustomed to playing Tetris Blitz, which comes with power-ups to give you an edge, the lack of options on Tetris for Game Boy might be somewhat of a shock. Naturally since we were decades away from Tetris Blitz, we had no idea what we’d miss out on at the time. Tetris for Game Boy does have a two-player mode, but you or a friend need to track down the Game Link Cable to battle head-to-head. Fortunately, the Game Link Cable is available to purchase on eBay for less than $10. Despite these limitations, we love the Game Boy version of Tetris, and still give it a go whenever we feel nostalgic. In addition to helping Nintendo launch its handheld empire, the title inspired countless developers to create their own puzzle games. 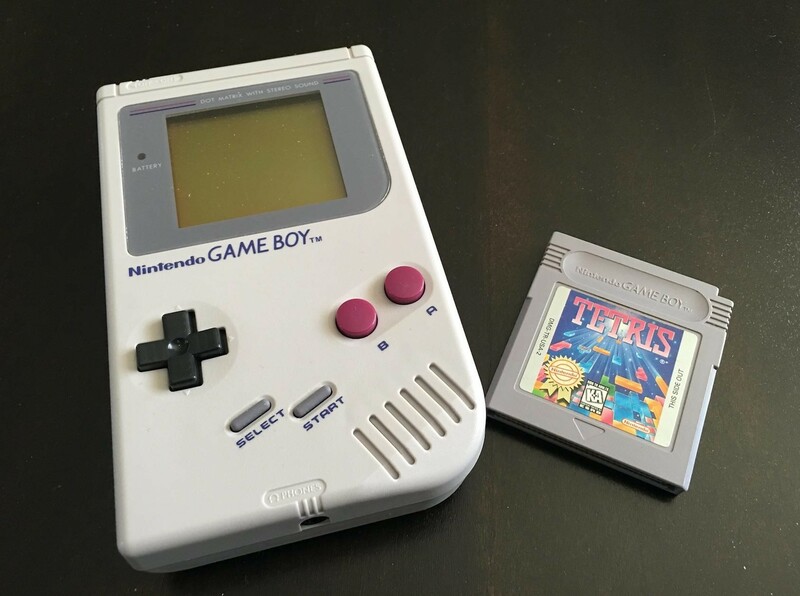 So, if you love retro stuff, definitely consider picking up a Game Boy and a copy of Tetris. You’ll have a blast, and be the envy of people who have their own retro stories to share.